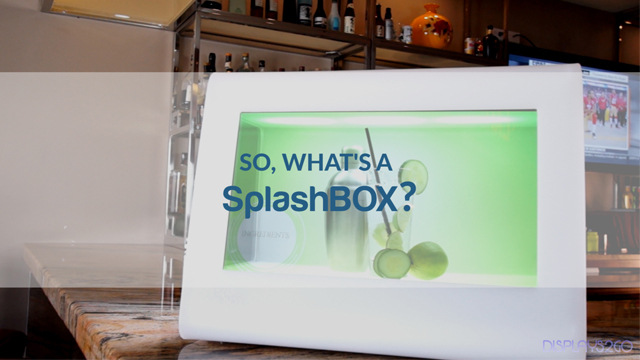 The SplashBox transparent LCD display case is the newest wave in digital signage. These product showcases boast striking video graphics for a compelling and engaging product presentation. This video highlights the biggest features of SplashBox. Discover why transparent LCD display cases are revolutionizing advertising. It’s a transparent LCD showcase for advertising & presentations. Available in Black or White. Coordinating pedestal also available for optimal viewing height. Add your own custom HD videos. Easy turn-key dual locking enclosure. Accepts a maximum 4gb SD card(included) or a personal USB flash drive. Complete with top & bottom LED lighting. A big thank you to Paul Cote for providing us with his beautiful artwork & NAMI Sushi & Steakhouse in Providence, RI for a great shooting location."